I'm a sucker for any type of flavored sodas, especially if they're the cool Japanese ones. 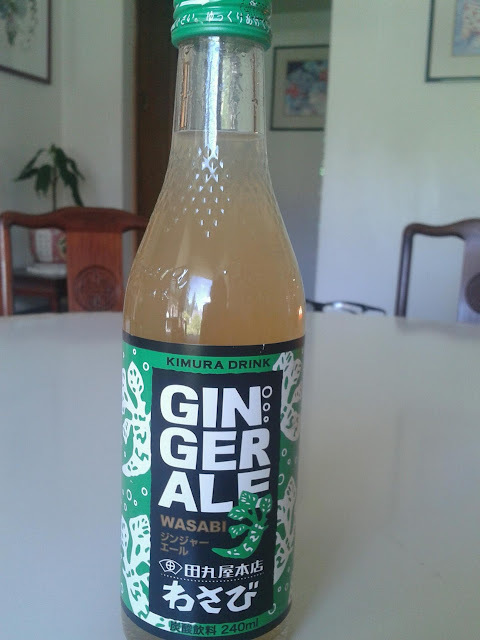 The other day I picked up a couple of these different flavored sodas and today i'll be reviewing the Ginger Ale Wasabi. 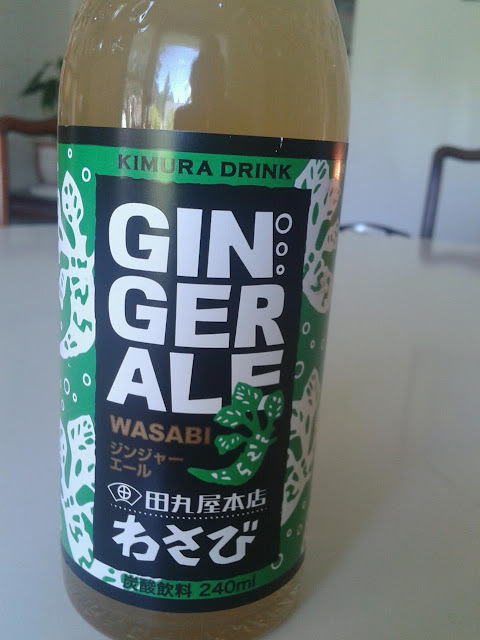 The initial taste is that of a typical ginger ale, but with a stronger ginger flavor. Then the wasabi flavor comes at the end in the after taste, creating and even spicier flavor. I have to say I did enjoy this. The packaging and the flavor profile really had me intrigued. The only down side was the price since it was costly at $3.49 for only 240ml. However, if you take into account the fact that it is imported from Japan, has an unique flavor, and is in a glass bottle, then overall it is worth it to at least try! Read more about these flavored drinks HERE. Be sure to also check out your local Japanese grocery store, or even perhaps a World Market to see if you could try it out !